Workers at the Ford Michigan Assembly plant, who will have only one week off in July rather than the typical two-week summer shutdown. Many U.S. auto workers won't be getting as much summer break time this year -- and are probably pretty happy about it. Ford Motor (F) and Chrysler Group said Wednesday that they are cutting back on the two-week shutdown that usually occurs each year around Independence Day. Rival General Motors (GM) isn't giving details of its shutdown plans, but it acknowledges it is no longer using the shutdown the way it did in the past. The reason: sales are booming. Through the first four months of 2013, U.S. car sales are up about 7%, to a 15.2-million-vehicle annual pace, and the rest of the year looks even stronger. "It's a strong signal on what's to come, a stronger second half of the year," said Jeff Schuster, senior vice president of forecasting at market researcher LMC Automotive, about the summer production plans. "No one wants to be caught without the right mix of inventory on their dealers' lots. Since utilization and capacity is now so lean, it's a way to squeeze more volume out." The U.S. automakers have shut most plants in the summer to perform maintenance and retool for the new model year. Excess manufacturing capacity that long existed in the industry made the shutdown relatively painless for the companies. And the auto workers used vacation time and weren't laid off. But the reorganization of the industry four years ago -- resulting in government bailouts of GM and Chrysler -- cut out much of the excess capacity. With this year's strong sales, many dealers are clamoring for more vehicles to sell. Schuster said unveiling new models throughout the year, rather than the traditional end-of-summer rollout, also makes a company-wide shutdown less necessary. 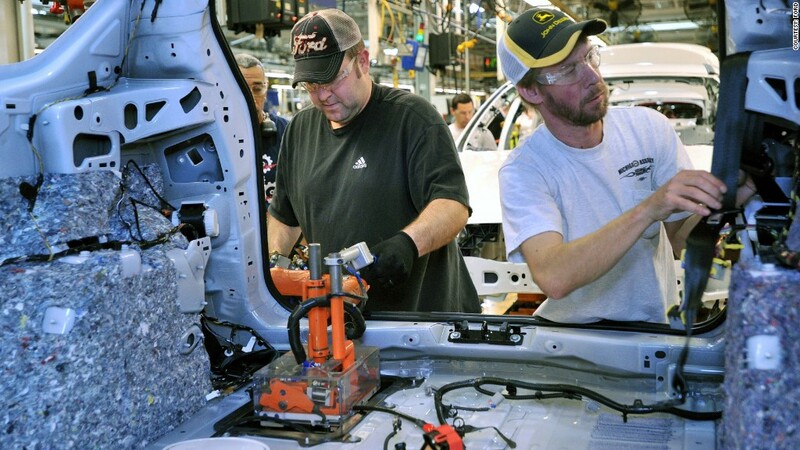 GM spokesman Bill Grotz said all the automakers have also gotten much better about doing the retooling and maintenance required to roll out new models on the fly without a prolonged plant shutdown. Ford said 20 North American plants, including six assembly lines, will be shut during the week that includes July 4. But they will be back in service the following week, rather than close for two weeks. The extra days of work will add 40,000 vehicles of capacity., part of Ford's plan to hike production by 200,000 vehicles this year through hiring workers and adding shifts at various plants. Three Chrysler plants in Detroit and Toledo, Ohio, won't have any summer shutdown. The company will also keep all but one of its engine, transmission and stamping plants working without a shutdown.